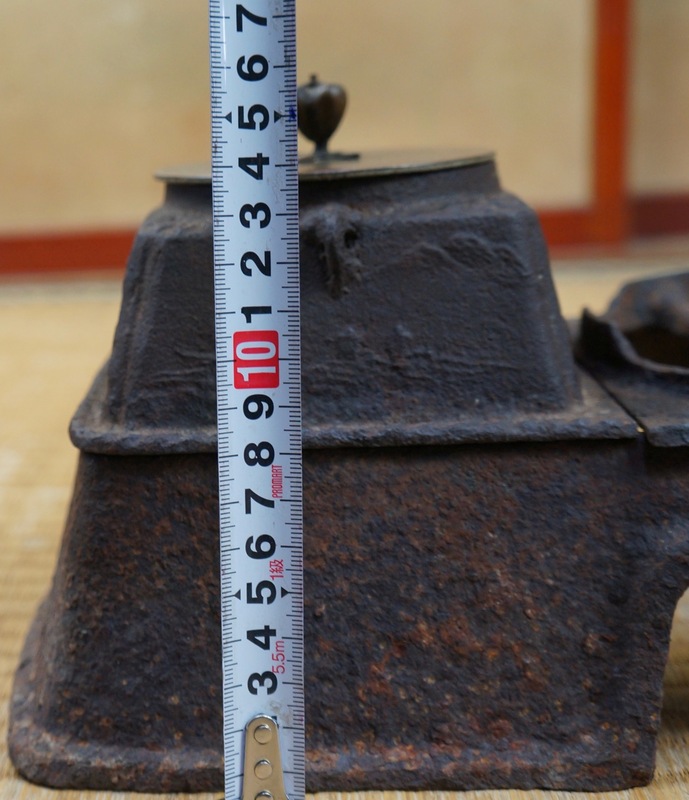 Antique Kama iron and bronze kettle Tea Ceremony craft 1800s Japanese art. 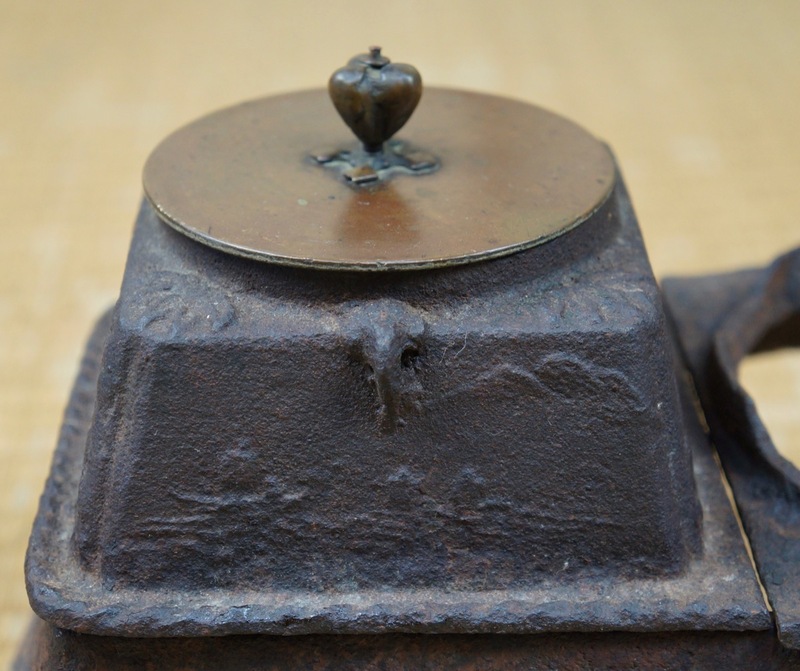 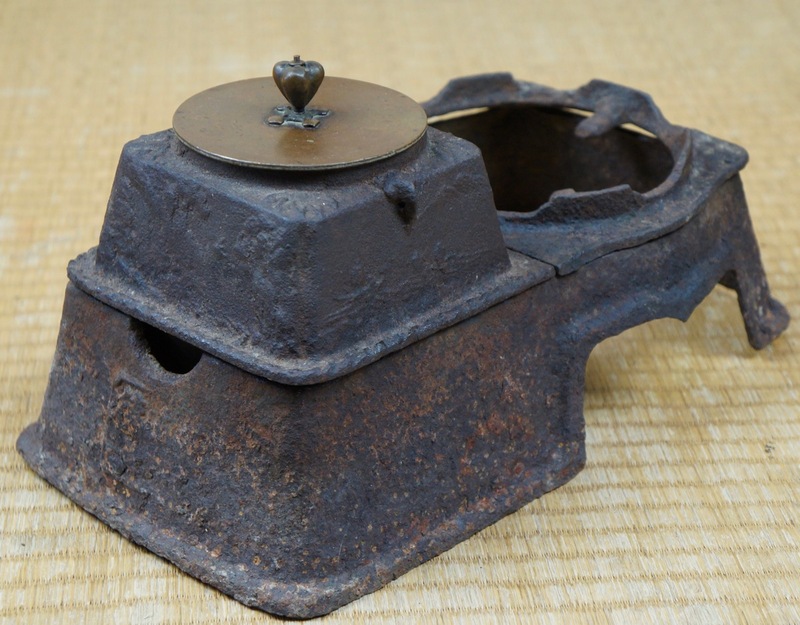 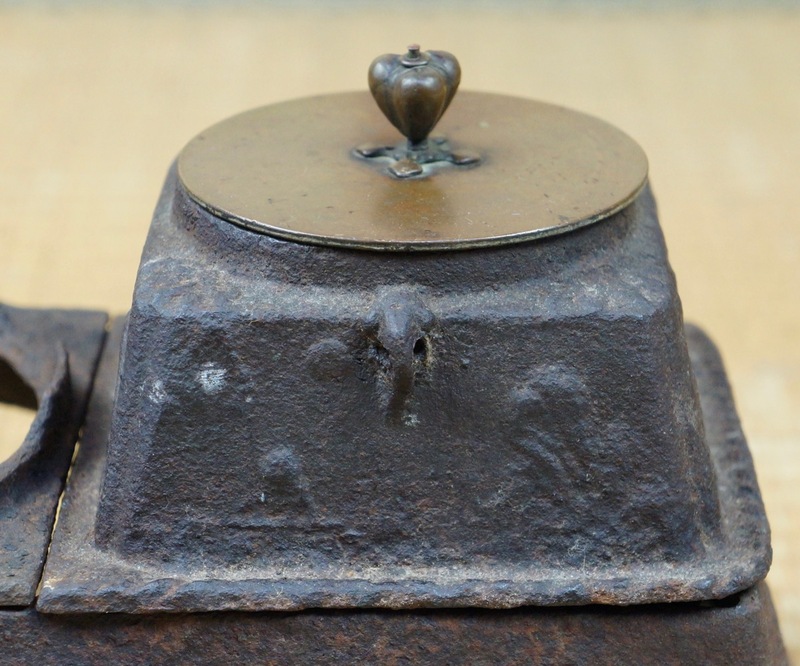 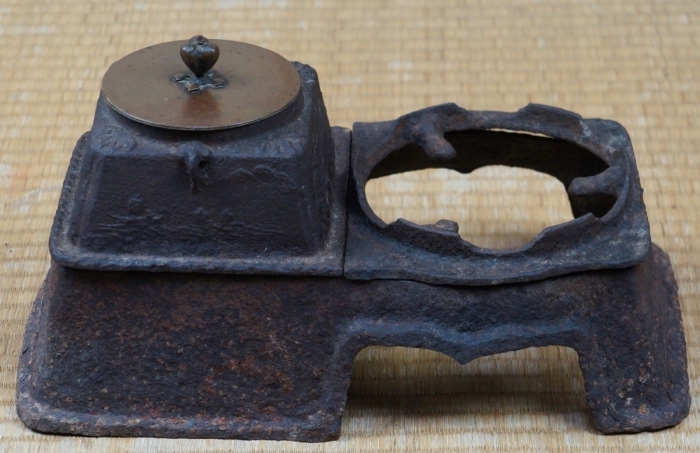 Nice antique Kama kettle in good conditions, decorated with bas-relief landscapes decorations on the 4 sides of kettle. 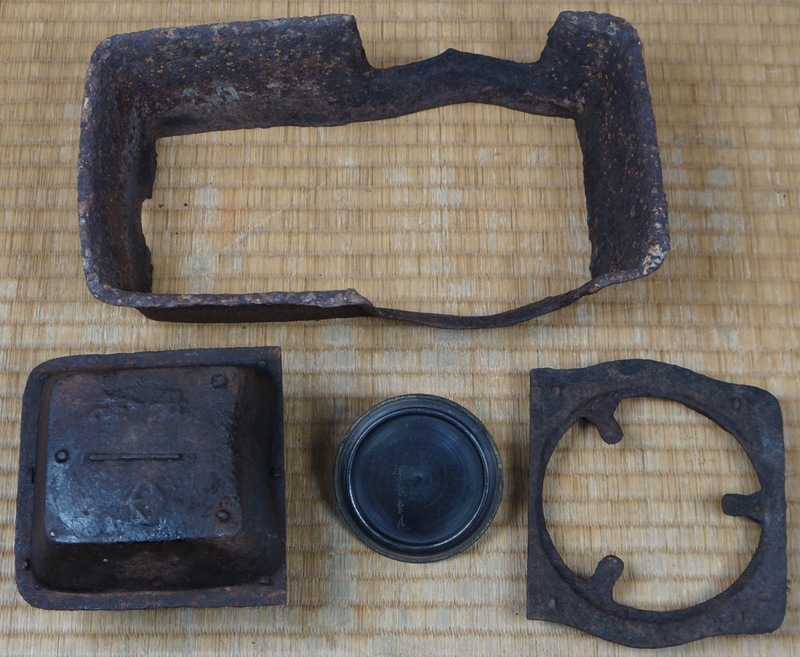 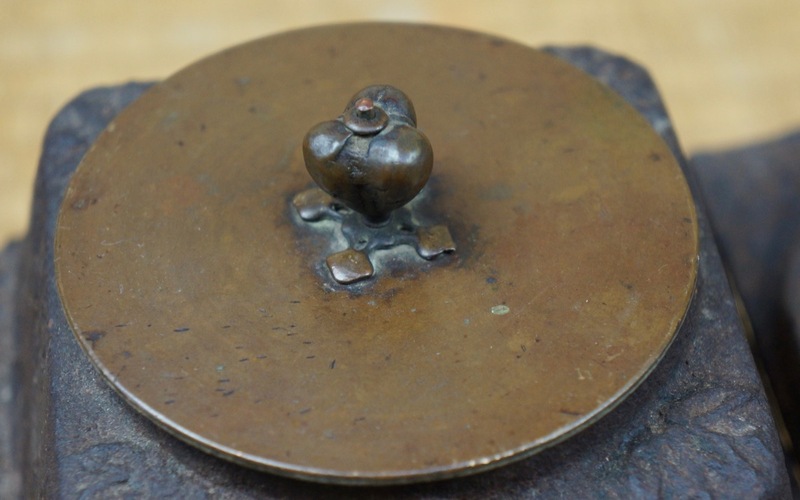 The item is made of 3 iron parts for tea ceremony use. 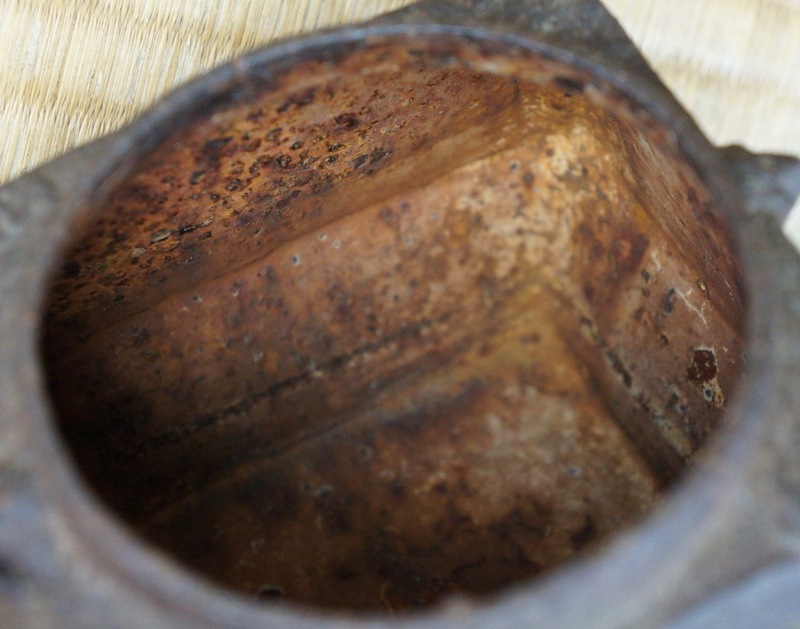 Oxidation on lower side visible, water marks from long usage visible inside kettle. 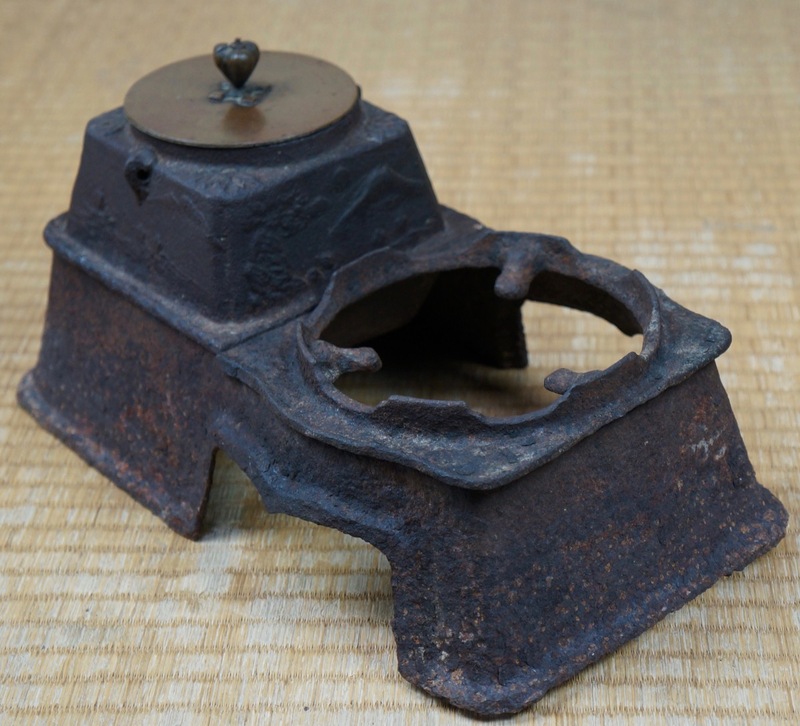 No holes no leaks. 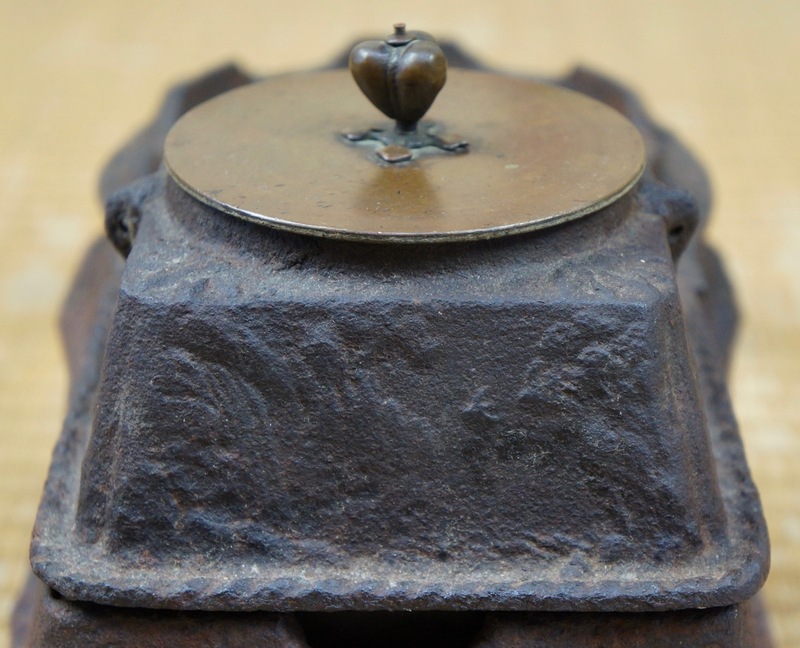 Nice patina immediately usable.